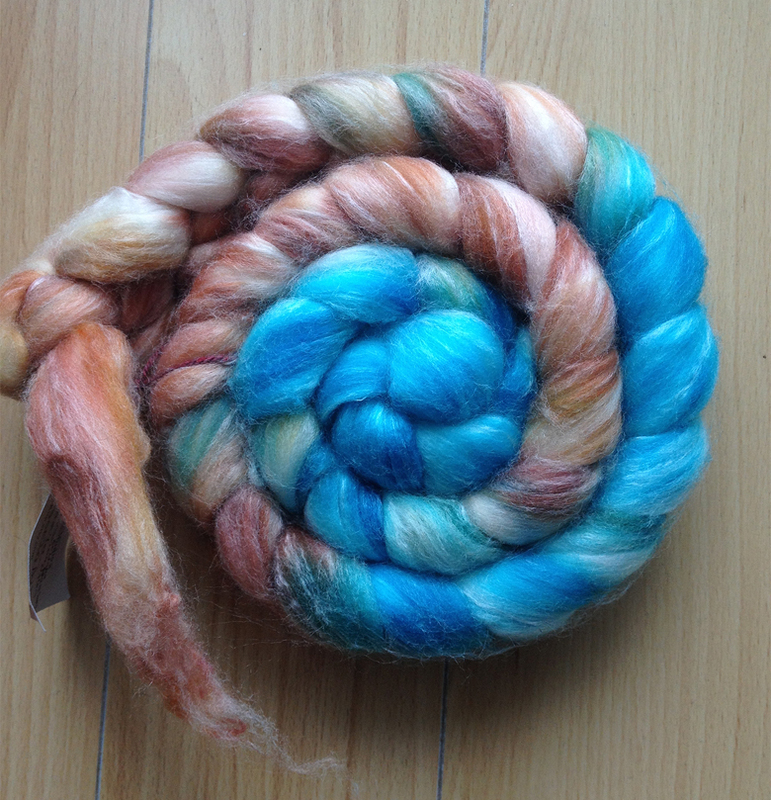 But before I post this morning’s pic, here’s my first triumphant skein. It looks like a cross between something my cat might cough up and Tito’s bedhead. 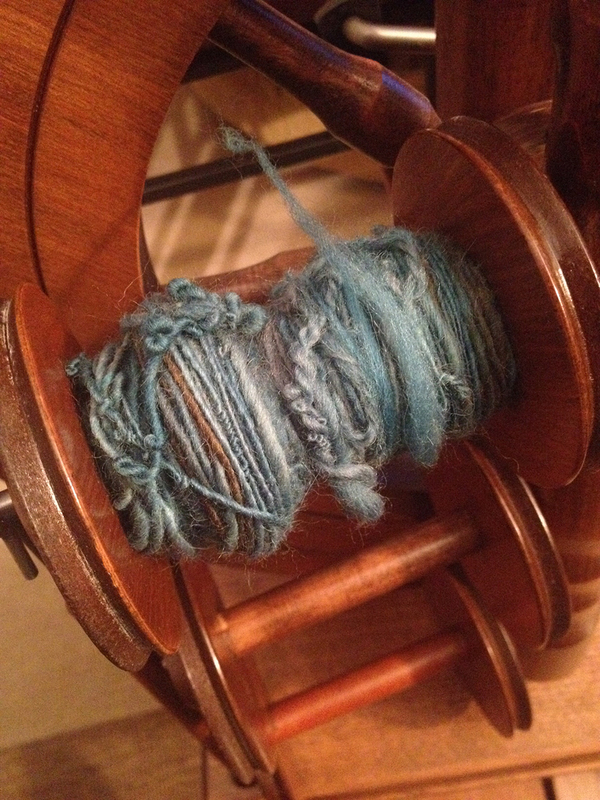 I finished spinning it at Rayna’s place on Friday night, then I plied it. Then Rayna asked me if I wanted to check my wraps per inch and we laughed and laughed. That there on the right? That’s Rayna. I aspire to spin like her. 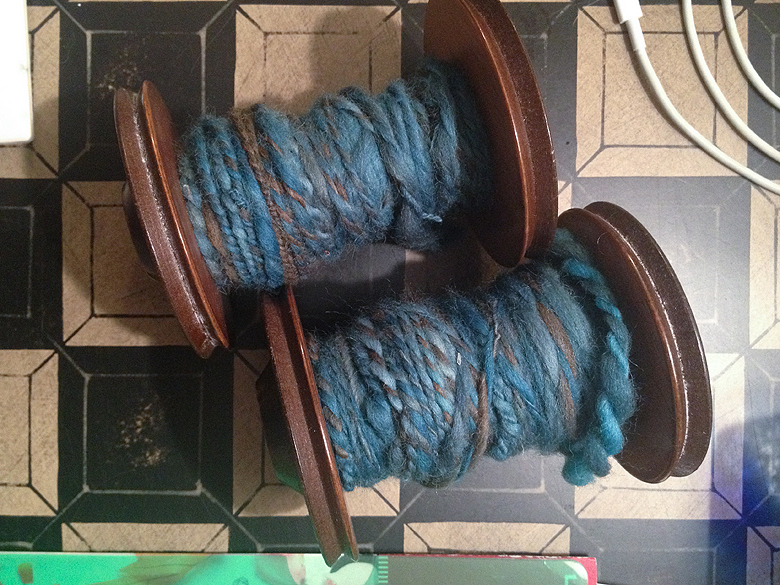 My plied singles… there are bits in there that almost look like yarn! 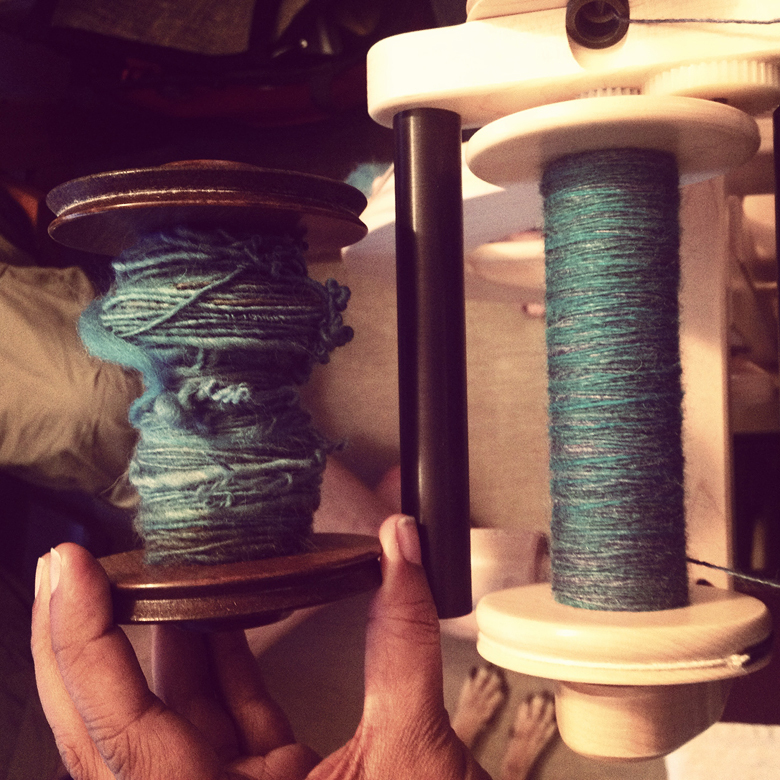 It feels like progress – that thing on the right definitely has hairball qualities. 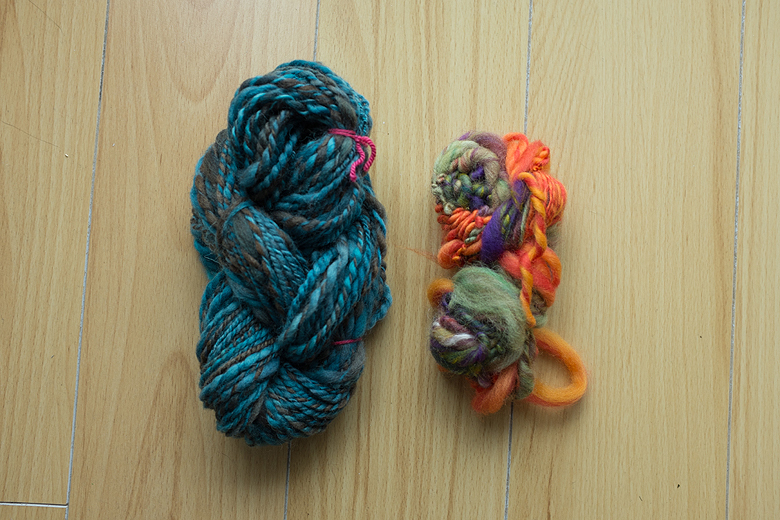 On Saturday I opened up a merino silk blend that Rayna gifted to me almost a year ago. It’s called ‘A Song of Ice and Fire’. I’m sure GRRM would approve of his story made manifest in dyed fluff. So far I’d say things are going rather well – this one may even be knittable! Aaah! 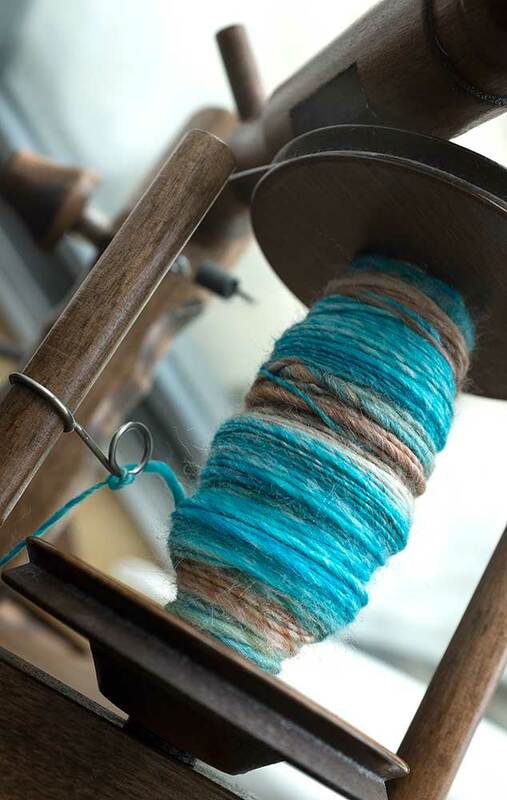 The thing with spinning is – the ability to spin like you do! 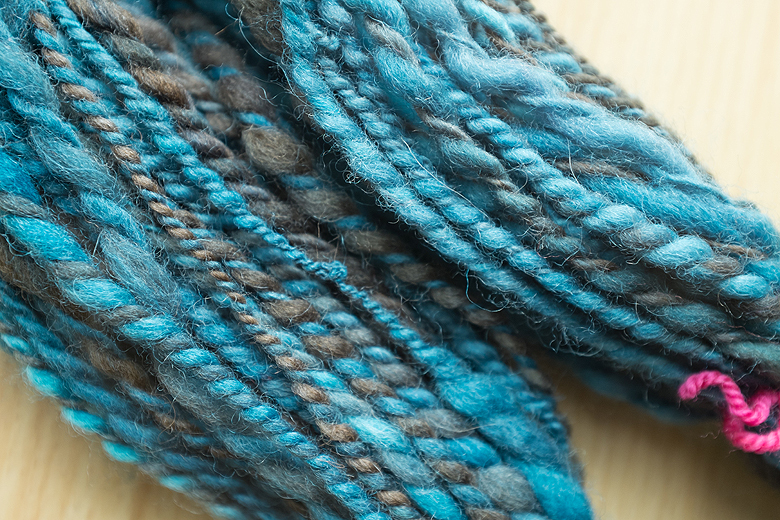 I used to aspire to spin like Rayna – but then I realized I could go out and buy all kinds of wool like that at any time – so why not spin stuff that I couldn’t buy? Why not spin in all the lumps and cat balls that I wanted? That’s the unusual qualities that make things stand out and so interesting! So that’s how I spin! I love my textures!! And I love your cat balls!! That’s a good way of looking at it! When I see perfectly knitted items in plain beige yarn it always makes me think ‘why not just buy that?’. After all, handmade things should _look_ handmade! That’s the magic of it.